Detailed rules for transcribing seas, islands, rivers, mountains, etc.  Write loanwords only with the 24 letters currently used for Korean. In principle, one phoneme in a loanword is written with one sign. For syllable codas, use only ㄱ k, ㄴ n, ㄹ l, ㅁ m, ㅂ p, ㅅ t, and ㅇ ng. Adopt the principle of not using tense consonants to write plosives. Respect common usage for loanwords that are already established, but the scope and examples are to be decided separately. Adopt the principle of following the rules set out in Chapters I (‘Basic principles of transcription’), II (‘Transcription tables’), and III (‘Detailed transcription rules’) to transcribe the names of people and places of foreign countries. For names of people and places from areas using languages not included in Chapter III, adopt the principle of following the original local pronunciation. Follow common usage for names that are widely known not under the original local pronunciation but that of a third country [sic]. In case proper names are widely known by their translated names, follow the common usage. For Chinese personal names, make a distinction between past and contemporary people such that people of the past are transcribed according to the former hanja (Chinese character) readings while contemporary people are in principle transcribed according to the Chinese transcription rules, but with the Chinese characters written alongside if needed. Write historical place names that are not in current use according to hanja readings and transcribe those that are identical to the current names according to the Chinese transcription rules, but with the Chinese characters written alongside if needed. Transcribe Japanese people and place names according to the Japanese transcription rules regardless of whether they are past or contemporary, but with the Chinese characters written alongside if needed. For Chinese and Japanese place names that traditionally use the hanja readings, these are [also] allowed. When 해 hae (海, ‘sea’), 섬 seom, (‘island’), 강 gang (江, ‘river’), 산 san (山, ‘mountain’), etc. are attached to loanwords, insert a space, but write them without spaces when they are attached to native words. Consistently use 해 hae (海) for ‘sea’. With the exception of those in Korea, consistently use 섬 seom for ‘island’. If a place name from areas where Chinese characters are used (Japan, China) consists of a single name in Chinese characters, then transcribe it with 강 gang (江, ‘river’), 산 san (山, ‘mountain’), 호 ho (湖, ‘lake’), 섬 seom (‘island’), etc. duplicated. If a place name includes the meanings for mountain range, mountain, river, etc., then transcribe it with 산맥 sanmaek (山脈, ‘mountain range’), 산 san (山, ‘mountain’), 강 gang (江, ‘river’), etc. duplicated. This is an unofficial translation. See the original in Korean on the Gyeoremal-keunsajeon website. These rules which appear in Chapter VI: ‘Principles of transcription’ of the Transcription Principles of Loanword Transcription Examples are not part of the official Loanword Transcription Rules, but are nevertheless applied in deciding the standard hangul transcriptions. Transcribe in hangul according to the Loanword Transcription Rules (Ministry of Culture and Education 85-11: 1986-01-07), but for language regions not included in Chapter III ‘Detailed transcription rules’ of the same (hereafter ‘other language regions’), the following rulings (the following Chapters VII–X) have been provided. Therefore, for the names of places and people in other language regions, follow the provisions of the Loanword Transcription Rules and the rulings of the following Chapters VII–X, but for points that have not been clarified, apply the detailed transcription rules for English (Loanword Transcription Rules III-1) mutatis mutandis. Of the following rulings, VIII–X are for Latin, Greek, and Russian respectively, provided after consulting with the relevant experts and after review by the committee for the review of the Loanword Transcription Rules because they make up a large proportion of loanwords. However, for points that have not been clarified here, follow the general principles of VII as well. The entries were classified according to the official languages of the countries in question, which may not coincide with the actual languages that the names of places or people belong to; in these cases, the principles of transcription for the languages that the names actually belong to were followed. For example, ‘Farewell, Cape’ is a place name in Greenland which is classified in other language regions, but the name is in English, so it has been transcribed 페어웰 곶 Peeowel Got following the principles for transcribing English. Words that have already been established have been transcribed respecting the conventional usage and marked with * to show that they are conventional forms. In particular, the names of countries and capitals have followed conventional usage as much as possible, and the markings for conventional forms have been omitted. Meanwhile, the following items 4–6 (here and here) are also rulings that have been separately established with the intent of respecting conventional usage; transcriptions according to these have also the markings for conventional forms omitted.